Premium Grizzly Rooster feathers for extension. 1. 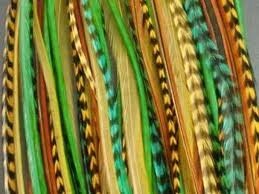 Material: 100% feather 2.Custom colors 3. Fast $ free delivery. 4.MOQ:30 packs. Specifications We sell quality feathers for hair extension. We have the following sizes as below: 6-8 inches, 6-8 inches,9-11 inches,11-12inches,14- 16inches,18-20inches and more We have the following sizes as below: 6-8 inches, 6-8 inches,9-11 inches,11-12inches,14- 16inches,18-20inches and more Contact for more info as well as color chart.